Summer is prime time for enjoying the outdoors. But more often than not, there's a dark cloud hanging over that backyard barbecue: bugs – and especially mosquitoes. These blood-seeking fun busters expertly follow their senses right to your skin. But if you can repel them with one quick application of bug spray, then what's the problem? It turns out that many old-fashioned bug sprays contain neurotoxic ingredients that may increase cancer risk. But, worry not – there are plenty of nontoxic essential oil blends that repel the bugs, without the bite to your health. Mosquito bites are not just annoying. They can also transmit diseases such as malaria, zika, and dengue fever, among others. So, it's important to guard against them. Mosquitoes are guided by their sense of smell, which is equipped with hundreds of odor-receptor proteins, and they're attracted to the carbon dioxide we exhale, our skin odors, and sweat. 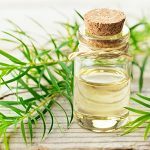 Although none of these can truly be avoided, there are plant-derived all-natural essential oils that repel bugs and are completely safe for humans. The best part is that natural insect repellents not only have a fresh, clean scent but, most importantly, they are safe to use at any frequency and can be used in place of traditional toxic bug sprays like DEET and picaridin. Plus, natural bug sprays usually have a variety of essential oils to repel a variety of mosquitoes at once. Of course, if you do get bitten, there's still hope. Try natural home remedies for mosquito bites. 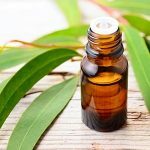 Lemon eucalyptus oil (also referred to as PMD) is a hydrodistilled byproduct of lemon eucalyptus and shouldn't be confused with the essential oil of eucalyptus itself. In concentrations above 30 percent, lemon eucalyptus oil has been shown to provide the same amount of protection for the same amount of time as DEET- and picaridin-derived sprays. 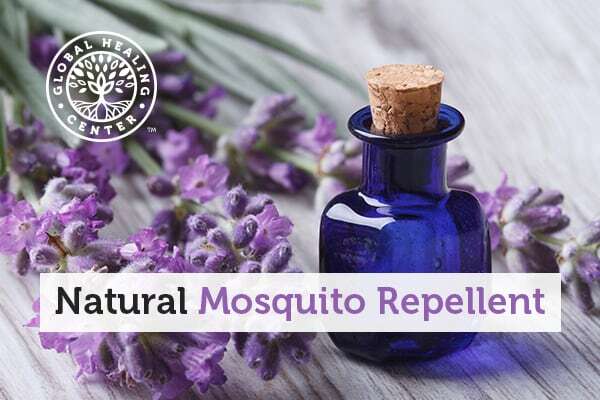 Due to its efficacy, it's one of the few natural ingredients included on the U.S. Environmental Protection Agency (EPA) list of effective mosquito repellents, in addition to the Australian Pesticides and Veterinary Medicines Authority-approved list. 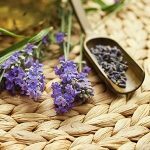 Lavender oil, like thyme and oregano, is naturally toxic to certain mosquitoes and ticks, while providing a natural antioxidant effect on humans. 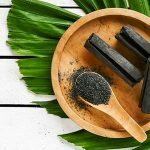 This makes it an effective oil to help naturally repel mosquitoes while being beneficial to human health. You may only know catnip as a feline's favorite herb, but researchers at Rutgers University have crafted a catnip that not only entertains cats for longer but, more importantly, also has higher concentrations of mosquito-repelling essential oils. Catnip, a member of the mint family, has been shown to suppress the feeding receptors of mosquitoes in multiple ways, which means a more effective natural bug spray. Other natural essential oils that make an ideal bug spray include peppermint, holy basil, rosemary, and tea tree oil. Peppermint, in addition to geranium, contains menthone, an all-natural extract from essential oils that may repel mosquitoes up to 90 percent effectively for up to two hours, compared with DEET, which repelled for only 15 minutes at the same 1 percent concentration. Extracts of cumin and cinnamon are also proven effective mosquito repellents. Plus, eating foods like garlic, vinegar (for example in salad dressing), lemongrass, and chili peppers may help prevent mosquito bites. Make sure you shake before each use, as the water and oil tends to naturally separate over time. Then, grind 500 grams of wild sage and 325 grams of clove basil leaves into a powder in a food processor or other grinder to increase the surface-area exposure to the liquid. Mosquitoes tend to overheat as they're feeding and are also disrupted by light, which is why they come out to feed at night. If you're going to be outside for extended periods of time, try to avoid being stationary outside at dusk and night. Mosquitoes are attracted to sweat and can more easily bite bare skin. So if you can, cover up as much exposed skin as possible to avoid bug bites. DEET, or N,N-Diethyl-m-toluamide, was first developed in the 1940s by the U.S. military to repel bugs by effectively "blinding" them to human scents besides carbon dioxide. But after decades of use worldwide as a bug repellent and crop insecticide, some research has found that DEET may be unsafe. First, DEET contains harsh chemicals that can potentially trigger tumor growth or seizures in mammals (including humans). Breathing difficulties have also been reported at high concentrations, as has temporary burning of the skin and mucous membranes. DEET is also unsafe for small children and pregnant women. It also may have immune-suppressing effects and can suppress acetylcholinesterase (AChE) activity, which means it can have neurotoxic effects. Not all mosquitoes are repelled by DEET. Even though it's long-lasting, it's still not 100 percent effective against all mosquitoes. 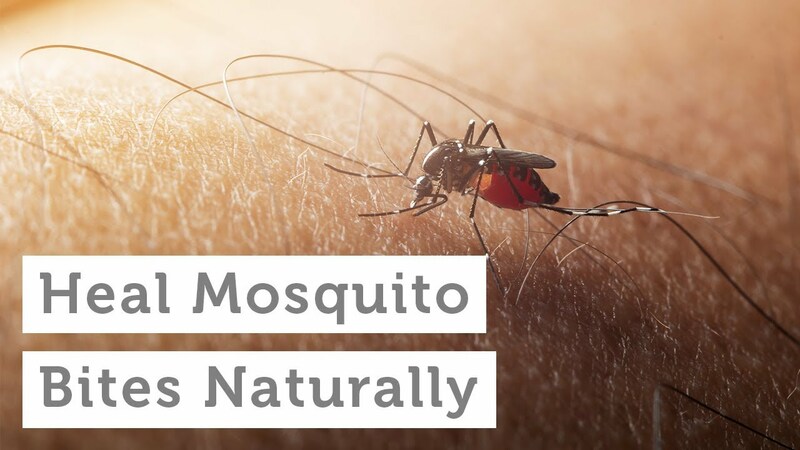 There are many ways to naturally protect yourself from bug bites – and specifically mosquito bites – without covering your skin with unsafe chemicals like DEET. Don't be afraid to experiment and find your right mix of plant extracts and essential oils to create your own bug spray and repel bugs naturally. Anandasankar R. "Reception of odors and repellents in mosquitoes." Curr Opin Neurobiol. 2015 Oct; 34: 158–164. Alvarez CA, Naspi CV, Lucia A, Masuh HM. "Repellent and Larvicidal Activity of the Essential Oil From Eucalyptus nitens Against Aedes aegypti and Aedes albopictus (Diptera: Culicidae)." J Med Entomol.2017 May 1;54(3):670-676. doi: 10.1093/jme/tjw222. Webb CE, Hess IMR. "A review of recommendations on the safe and effective use of topical mosquito repellents." Public Health Res Pract. 2016;26(5):e2651657. Batish DS, Kohli H, Shalinder RK. "Eucalyptus essential oil as natural pesticide. Forest Ecology and Management.” 256(12):2166-2174 · December 2008. Frances SP, Rigby LM, Chow WK. "Comparative Laboratory and Field Evaluation of Repellent Formulations Containing Deet and Lemon Eucalyptus Oil Against Mosquitoes in Queensland, Australia.” Journal of the American Mosquito Control Association 30(1):65-67. 2014. Tabari MA, et al. "Toxic and repellent activity of selected monoterpenoids (thymol, carvacrol and linalool) against the castor bean tick, Ixodes ricinus (Acari: Ixodidae)." Vet Parasitol.2017 Oct 15;245:86-91. doi: 10.1016/j.vetpar.2017.08.012. Epub 2017 Aug 23. Park BS, Choi WS, Kim JH, Kim KH, Lee SE. "Monoterpenes from thyme (Thymus vulgaris) as potential mosquito repellents.” J Am Mosq Control Assoc. 2005 Mar;21(1):80-3. Robin L. "Super Catnip Repels Mosquitos and Drives Cats Wild.” September 14, 2015. Kongkaew C, Sakunrag I, Chaiyakunapruk N, Tawatsin A. "Effectiveness of citronella preparations in preventing mosquito bites: systematic review of controlled laboratory experimental studies.” Trop Med Int Health. 2011 Jul;16(7):802-10. doi: 10.1111/j.1365-3156.2011.02781.x. Epub 2011 Apr 11. Ferreira LL, Oliveira Filho JG, Mascarin GM, León AAP, Borges LMF. "In vitro repellency of DEET and β-citronellol against the ticks Rhipicephalus sanguineus sensu lato and Amblyomma sculptum." Vet Parasitol. 2017 May 30;239:42-45. doi: 10.1016/j.vetpar.2017.04.021. Epub 2017 Apr 14. Iovinella I, Pelosi P, Conti B. "A rationale to design longer lasting mosquito repellents." Parasitol Res.2014 May;113(5):1813-20. doi: 10.1007/s00436-014-3827-7. Epub 2014 Mar 6. C. Kongkaew I. Sakunrag N. Chaiyakunapruk A. Tawatsin. "Effectiveness of citronella preparations in preventing mosquito bites: systematic review of controlled laboratory experimental studies.” European Journal of Tropical & International Health. 11 April 2011. Kröber T, Koussis K, Bourquin M, Tsitoura P, Konstantopoulou M, Awolola TS, Dani FR, Qiao H, Pelosi P, Iatrou K, Guerin PM. "Odorant-binding protein-based identification of natural spatial repellents for the African malaria mosquito Anopheles gambiae.” Insect Biochem Mol Biol. 2018 May;96:36-50. doi: 10.1016/j.ibmb.2018.03.008. Epub 2018 Apr 12. Keziah EA, et al. "Creams Formulated with Ocimum gratissimum L. and Lantana camara L. Crude Extracts and Fractions as Mosquito Repellents Against Aedes aegypti L." (Diptera: Culicidae). J Insect Sci. 2015; 15(1): 45. Sheppard AD, et al. "Light manipulation of mosquito behaviour: acute and sustained photic suppression of biting activity in the Anopheles gambiae malaria mosquito.” Parasit Vectors. 2017 Jun 16;10(1):255. doi: 10.1186/s13071-017-2196-3. Pavela R, Benelli G. "Ethnobotanical knowledge on botanical repellents employed in the African region against mosquito vectors – A review.Ethnobotanical knowledge on botanical repellents employed in the African region against mosquito vectors – A review." Exp Parasitol. 2016 Aug;167:103-8. doi: 10.1016/j.exppara.2016.05.010. Epub 2016 May 31. Inocente EA, et al. "A natural agonist of mosquito TRPA1 from the medicinal plant Cinnamosma fragrans that is toxic, antifeedant, and repellent to the yellow fever mosquito Aedes aegypti.” PLoS Negl Trop Dis. 2018 Feb 9;12(2):e0006265. doi: 10.1371/journal.pntd.0006265. eCollection 2018 Feb.
Ditzen M, Pellegrino M, Vosshall LB. "Insect odorant receptors are molecular targets of the insect repellent DEET.” Science. 2008 Mar 28;319(5871):1838-42. doi: 10.1126/science.1153121. Epub 2008 Mar 13. Legeay S, et al. "The insect repellent N,N-diethyl-m-toluamide (DEET) induces angiogenesis via allosteric modulation of the M3 muscarinic receptor in endothelial cells." Sci Rep. 2016; 6: 28546. Keil DE, et al. "N,N,-diethyl-m-toluamide (DEET) suppresses humoral immunological function in B6C3F1 mice. Toxicol Sci.” 2009 Mar;108(1):110-23. doi: 10.1093/toxsci/kfp001. Epub 2009 Jan 13. Corbel V, et al. "Evidence for inhibition of cholinesterases in insect and mammalian nervous systems by the insect repellent deet." BMC Biol. 2009; 7: 47. Turner SL, et al. "Ultra-prolonged activation of CO2-sensing neurons disorients mosquitoes." Nature. 2011 Jun 2; 474(7349): 87–91.